Island states often host regimes short on nerve and, if they be wealthy, compassion. 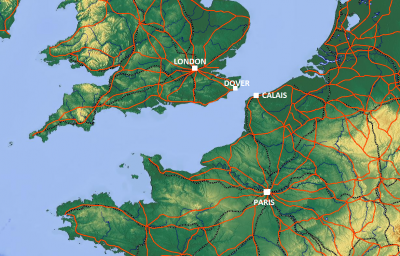 Britain’s Calais problem is part manufacture, and part evasion. If UK Foreign Secretary Philip Hammond’s comments are anything to go by, the sceptred isle continues veering between land of refuge and hope, and gnawing fear about such things as living standards and sacred property. The British tradition of rights and liberties remains, as ever, a conservative one. Hammond certainly did not mince what would have otherwise been ill chosen words. He has been eyeing the 3,000 refugees and “marauding” migrants who have gathered at the French port town of Calais. He has deemed it appropriate to note their “African” background, and their search for better “living standards”. He has also been noting the grievances of Channel Tunnel operators, who cite incompetence on the part of British and French authorities. Other ports are similarly paying host. A sense that the refugees are about to pounce and enter Britain illegally has gotten reactionaries into quite a state. The death toll is rising. When clarification was sought about Hammond’s position, things did not get much better. At a press conference in South Korea, he insisted on focusing on themes of dreaded locomotion. The image of arterial blockage, posing a security threat that kills the host, is palpably strong. In this, he keeps company with the Prime Minister, David Cameron. In July, the entire issue of migrants preoccupied the emergency Cobra committee on disruptions to Channel ports. Cameron staked a claim to be the strongman here, promising to keep migrants from the ports, while fulminating that he had to break his vacation. Few on the Tory frontbench seem willing to consider an international intervention that would involve British and French cooperation. Home Secretary Theresa May has attempted to use various “fast-track” detention schemes which have fallen foul of the law. A UN facilitated solution would, at least in some instrumental way, internationalise what is otherwise being done unilaterally. Instead, we are getting pugnacity and addled vitriol, the shadow boxing that proves how ineffectual the British stance actually is. Tabloid hysteria has been ample, with headlines screaming of “the battle to secure Calais” and the pressing need to “send in the gurkhas”. The latter impudent suggestion had to come from Kevin Hurley, the police and crime commissioner for Surrey, who reflects that age old tradition of presuming that those who do not abide by standard regulations must be criminal. “The Gurkhas are a highly respected and competent force, and are just around the corner. They could help ensure that our border is not breached.” Terrorists, invaders, refugees – differences don’t matter in the coalescing nonsense of security. The Guardian has editorialised on the subject of Calais at length, arguing for strategy over “swarms”. Even the editors had to concede that the British holiday maker, or the residents of Kent “are entitled to expect some reassurance.” The comfort principle excludes other humans who may encroach, even if that remains a fiction of circumstance. Demagoguery remains the easiest of substitutes, suspending the need to have vision, while embracing the hobgoblins of fear and calculation. Regional approaches to processing the claims of asylum seekers and refugees is not something many states are willing to take. Conflation is far easier than subtle distinctions – the refugee, the migrant, and the asylum seeker, have all been cobbled together in the same dark, sinister matter, all violators of sovereignty and border security. Tory Britain is lifting the drawbridge.